A nice round number to celebrate the birthday: Almost 15 years to the month after production began, the Porsche Boxster, together with its sister model, the Porsche Cayman, exceeded the 300,000 mark for the number of vehicles built. With its timeless attractiveness, this two-seat, mid-engine Porsche design has what it takes to make yet another sports car icon. To mark the anniversary, a Boxster Spyder with Platinum Silver metallic finish and Carrera red natural leather interior trim will roll off the Stuttgart-Zuffenhausen production line in June, destined for a customer in Germany. 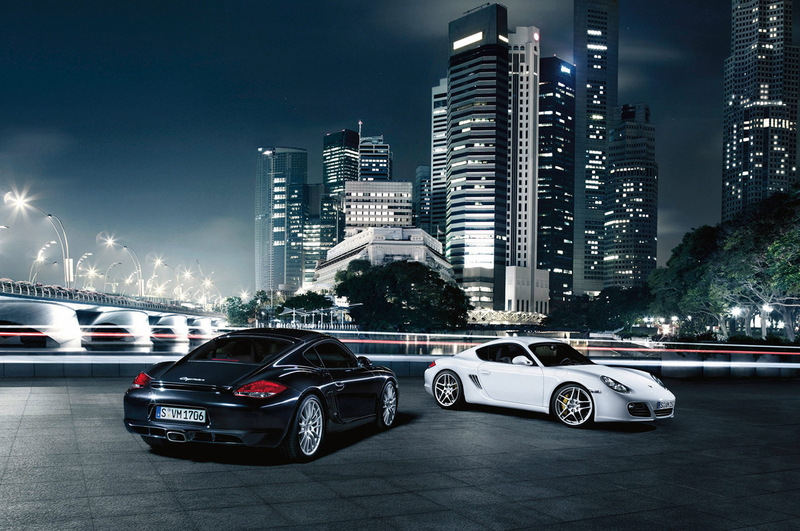 There are solid reasons for this long-standing success: The Porsche Boxster and Cayman are continuously developed based on a meticulous mid-engine concept and are therefore deemed to set the standard for sports cars of their class. In the important export market of the United States, this is the tenth year that they have been ranked among the “10 Best” vehicles by Car and Driver Magazine and occupy second and third place in Germany as the vehicles that hold their value the best, hot on the heels of the 911. 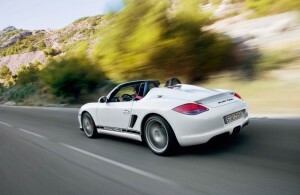 The Boxster’s origins testify to the typical Porsche blend of capability, courage and farsightedness. In the economically challenging times of the early 1990’s, the company decided to go onto the offensive and unveiled the classic mid-engine roadster concept at the 1993 Detroit Motor Show. In its design language, the show car was reminiscent of the Porsche 356 No. 1 and the Porsche 550 Spyder. The overwhelming public response clinched the decision to proceed to series production of the Boxster, which began in the summer of 1996, and introduced as a 1997 model. Dynamic lines, outstanding performance and an attractive price quickly catapulted the mid-engine sports car onto the bestseller list while attracting new customers to Porsche. To put the successful concept on a broader stage, Porsche also developed a Coupe based on the open-topped, two-seater roadster that made its world debut at the 2005 IAA Frankfurt Motor Show as the Cayman. 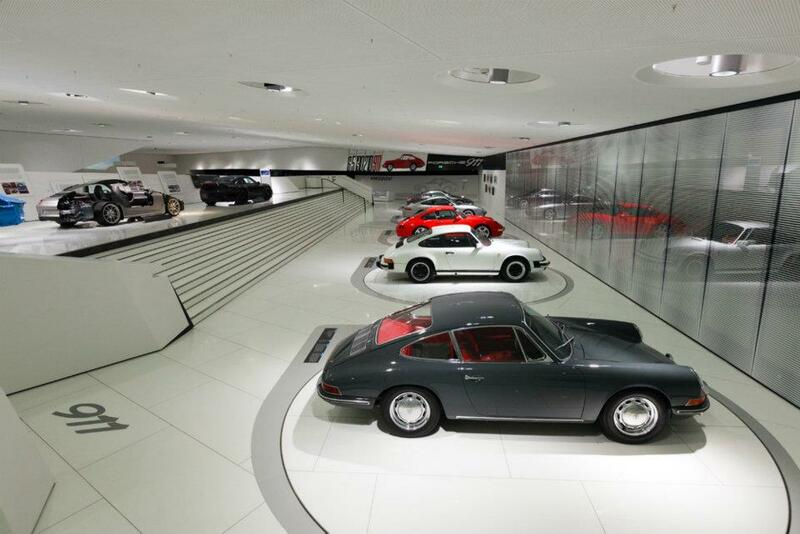 The enormous demand resulted in the Boxster and Cayman being built at Valmet Automotive in Finland in addition to Zuffenhausen. The model range currently comprises the four open-topped variants, the Boxster, Boxster S, Boxster S Black Edition and Boxster Spyder. 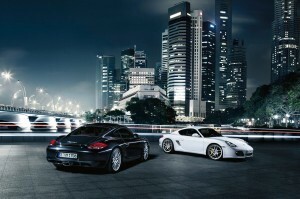 These are complemented by the Cayman, Cayman S, Cayman S Black Edition and Cayman R Coupes. The engine variants for the two model lines range between 255 hp and 330 hp thanks to Porsche Intelligent Performance fuel consumption is rated as high as 29 MPG highway.